Our objective is to serve the market with the best, strongest and most efficient juicer machines in the world. In order to obtain this, we make the best quality juicer machines and created the PR (premium quality) logo, which means that our machines are made with the highest precision and from the best quality. 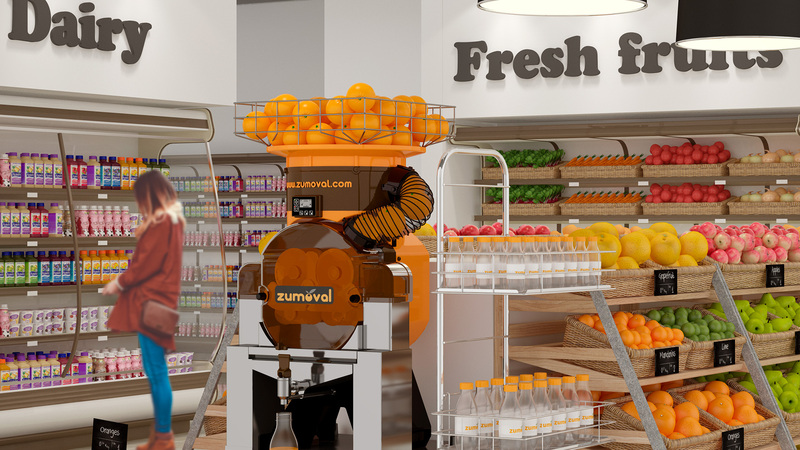 Zumoval is the only manufacturer in the world that equips it´s automatic orange juicers machines with a 0.75 hp motor allowing our machines to squeeze any type of citrus fruits and pomegranates. Additionally, our machines are equiped with gears of steel. As a result, Zumoval automatic juicers are the strongest, most reliable and most durable citrus juicers on the market. The exclusive Maximum Yield Squeezing System MYSS is a unique system, which enables us to extract the highest amount of juice of any type of citrus fruits and pomegranates, without touching the peel of the fruit. Only the fresh juice is extracted as our unique system avoids extracting essential oils and acids. As a result our machines offer a tasteful, high quality and vitamin-rich juice. If oranges could choose, they would choose Zumoval. Whether you own a bar, coffee shop, hotel, restaurant, supermarket, fitness club or fruit store, Zumoval has the perfect juice solution for your business. We can help you to choose the correct orange juice machine that will give your business a fruity boost. Choose an automatic orange juice machine according to your needs. 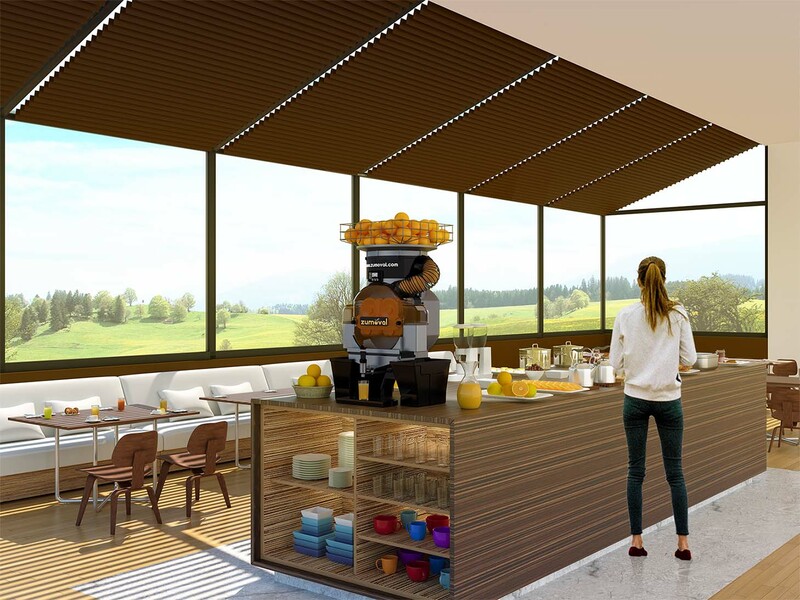 You can choose between a counter top model, designed to be placed directly on the counter of a cafeteria, bar, or restaurant, or a model on a wheeled stainless steel stand, which can me moved easily. Add options such as: Stainless steel self service tap, Self cleaning shower system, Pulp-Out filter or a Stand. Zumoval has the perfect machine for you. Choose between our heavy duty juice extractors Fastjuice and BigFastjuice for juicing any type of fruits or vegetables. Both machines are the most advanced juice extractors on the market made of the best available materials. 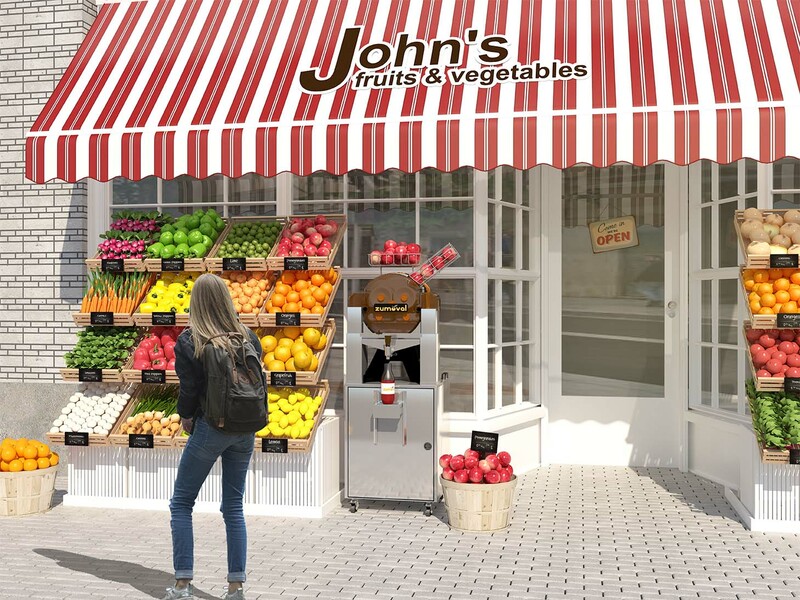 With the kiosk, you can sell juice in public areas, events and malls.